Allan Sherman was an American comedy writer and television producer who became famous as a song parodist in the early 1960s. His first album, `My Son, the Folk Singer,' (1962) became the fastest-selling record album up to that time. His biggest hit single was `Hello Muddah, Hello Fadduh,' a comic novelty in which a boy describes his summer camp experiences to the tune of Ponchielli's Dance of the Hours." 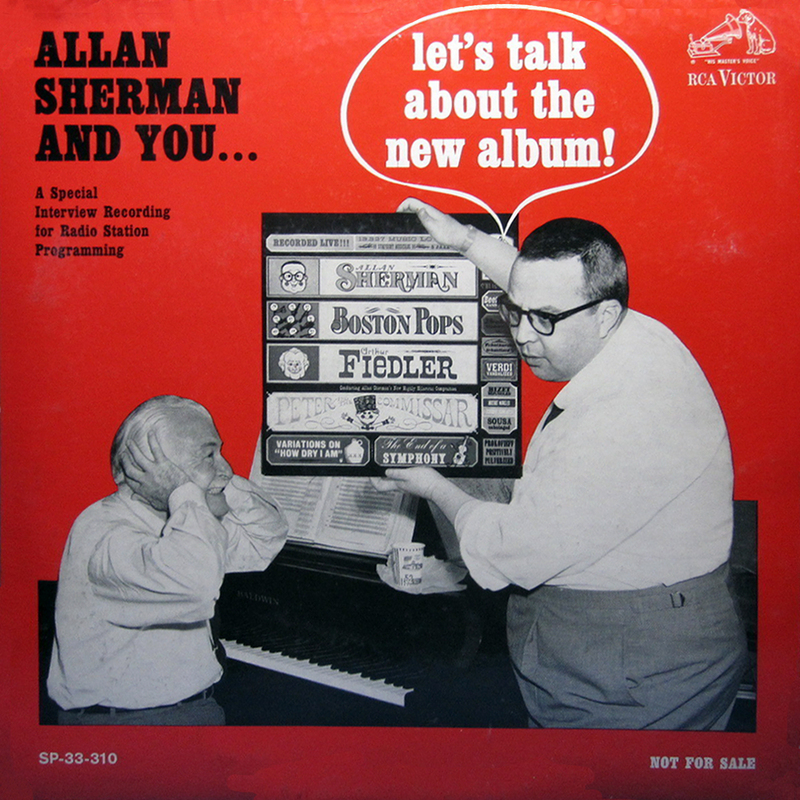 These songs and one outtake give us a great albeit brief sampling of Allan Sherman's very funny work; and the quality of the sound is excellent. "Harvey & Sheila," sung to the tune of "Hava Nagila," was one of Sherman's first novelty hits. The audience loved this number and I can easily remember my parents listening to this and chuckling every time they heard it even though they had heard it many times before! 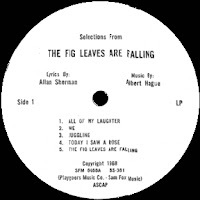 The music goes well with Allan's singing, which, by the way, wasn't very good but Allan used this for an even greater comedy effect. 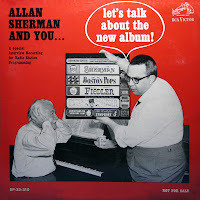 "Sarah Jackman" is absolutely hilarious; this Jewish themed song performed to the tune of "Frère Jacques" went over big and was one of Allan Sherman's greatest hits. 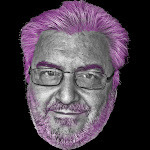 "Hello Muddah, Hello Fadduh (A Letter from Camp)" was yet another successful number for Sherman. 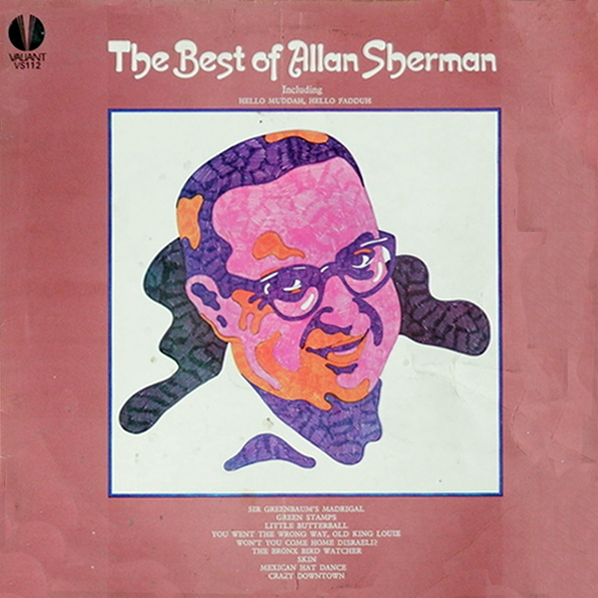 The track set ends with Allan Sherman performing a lesser known number that was released as a single entitled "My Son, the Vampire" (which is also on the third CD of the box set "My Son, the Box") and an outtake of "Christmas '65 (Draft Cards)" that I first heard on the fifth CD of "My Son, the Box." 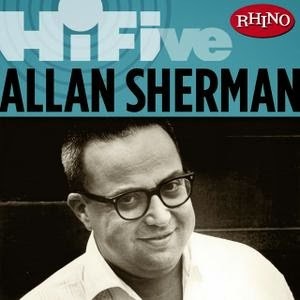 0 comments on "Allan Sherman - Rhino Hi-Five, Allan Sherman (EP) 2006"